In 2019, if you don’t take a photo it’s like it never happened. Social platforms like Instagram act as outlets which let us explore places we’ve never seen before – one search of a hashtag and you’ll have everything at your fingertips. But where are the most tagged places in America? New research from entertainment experts PlayPicks uncovers the most shared locations in the USA, delving into categories from beaches to arenas and festivals, to uncover the most Instagrammable hotspots in the US. Alongside this, PlayPicks ran a survey of the US public to reveal just how reliant the nation is on social media, in particular when it comes to travelling. Disneyland Anaheim – Not just where dreams come true, but also where hashtags are made. 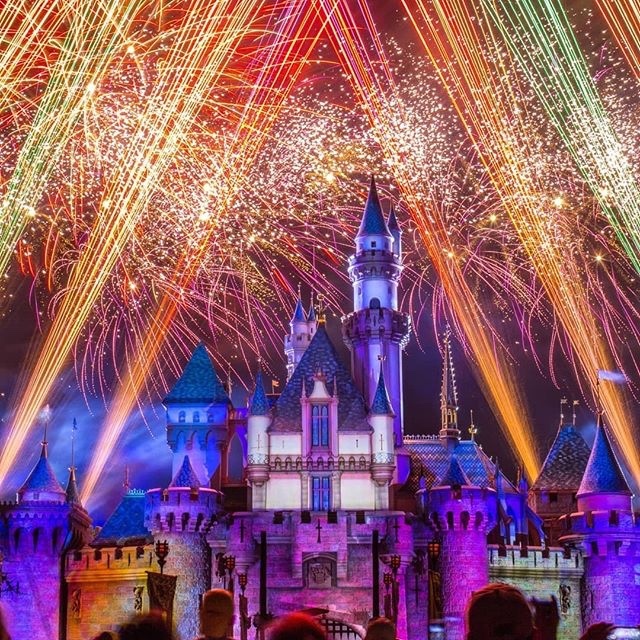 Disneyland was built in 1955 and has since received 19,783,733 Insta shares. Considering the fact that they had an estimated attendance last year of 18.3 million, it’s of no surprise that it’s the most hashtagged location in America. 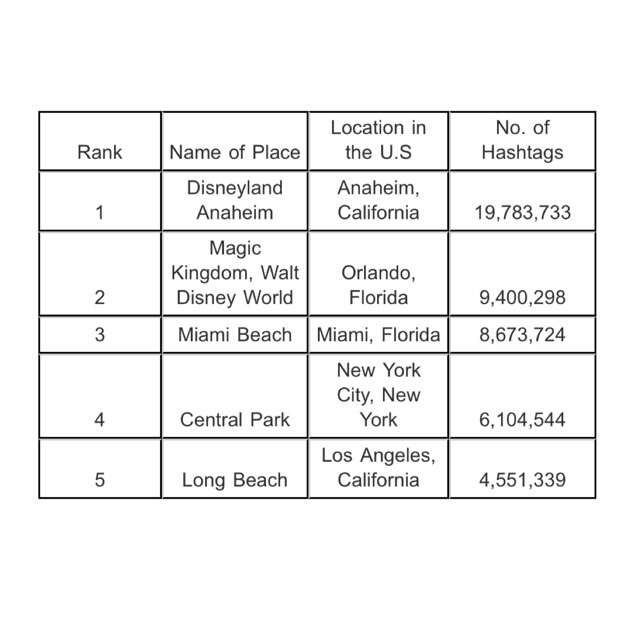 It’s sister park in Florida, Disneyland Magic Kingdom, takes the second spot on the most hashtagged list at 9,400,298 posts. Miami Beach – This man-made beach has 8,673,724 shares on Instagram, making it the most Instagrammed beach in the US – and with 15.22 square miles of beautiful, golden sand and relaxation, it’s easy to see why you can’t help but take one for your grid. Central Park – One of two of New York’s offerings in the top 10 list (the other being Times Square) is its first major landscape park. The park’s construction started in 1857 and upon its completion, it became one of the most popular tourist destinations – having approximately 40 million visitors a year and 6,104,544 shares on Instagram. The majority of male respondents (45%) admitted to taking holiday inspiration solely from influencer posts on social media rather than their friends. Only 22% of women said they would listen to just an influencer, instead 50% would balance their decision based on both friends and influencers. Men care the most about getting the perfect snap for the ‘gram – on average, men spend 20.28 minutes getting a picture just right before uploading it, while women spend only 14.67 minutes. Although 49% of respondents said they solely take photos for themselves, 26% said they do it for social media – this was preferred over taking snaps for family and friends, which only 24% claimed was their primary reason for documenting their trips. To explore the rest of America’s favourite social media destinations, search the interactive tool and find the most hashtagged places in America here. This entry was posted in Travel + Food and tagged 360 Magazine, Anaheim, California, Central Park, Coachella, Diana Macaraeg, Disneyland, Florida, hashtag, influencers, INSTAGRAM, LBC, Locations, Long Beach, magic kingdom, Miami beach, most instaworthy, nyc, playpicks, travel, United States, USA, Vaughn Lowery on February 6, 2019 by wp360mag. Divers from across the nation are invited to enjoy the spirit of adventure at the diving event of the year, as the Scuba Show returns to Long Beach with more scuba exhibitors, experts and seminars than ever. 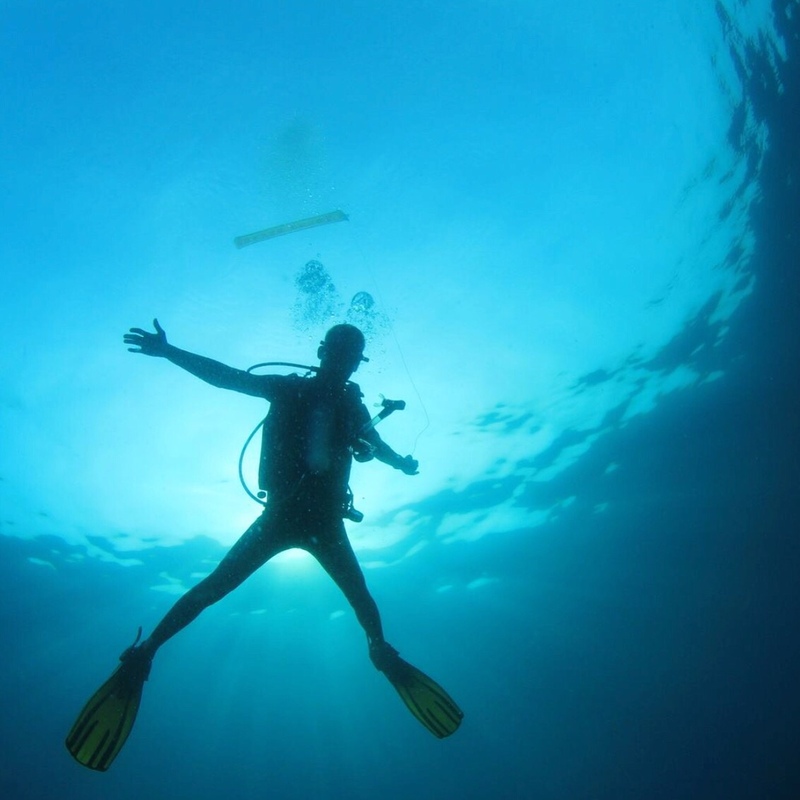 For three decades, this expo has drawn out thousands of passionate divers and ocean lovers for a weekend of storytelling, exploration and personal connection with the welcoming and close-knit diving community. Perfect for divers of all levels of experience, and people who want to learn about it, the Scuba Show is the place for anyone to discover and appreciate the magic of diving. Attendees can learn how to get scuba certified, browse hundreds of diving products and discover new and exciting diving destinations and opportunities from around the world. Addtionally, this year’s California Scuba Service Award is posthumously going to “Sea Hunt” star Lloyd Bridges – “Sea Hunt” aired from 1958-1961 and is largely credited by those within the industry with generating much of the excitement and interest in scuba diving in the United States. The Scuba Show will feature 76,000 square feet of floor space covered by over 300 exhibitors, vendors, destinations and experts from around the world, dozens of seminars, clinics and classes, cooking demonstrations, door prizes, a 15,000 gallon try-diving pool, and its popular Saturday night party. Tickets are available online at scubashow.com/attendees/tickets. Full price tickets will also be sold at the door. Single day advance tickets range from $12 (single day exhibit hall) to $32 (single day exhibits plus seminars), and two day passes are $62 (includes exhibit hall and seminars). For more information, please visit www.scubashow.com. This entry was posted in Travel + Food and tagged 360, 360 Magazine, coral, Diana Macaraeg, diving, dolphins, exploration, LBC, lloyd bridges, Long Beach convention center, ocean, Scuba, sharks, swimming, travel, Vaughn Lowery on April 5, 2018 by Pitch360.